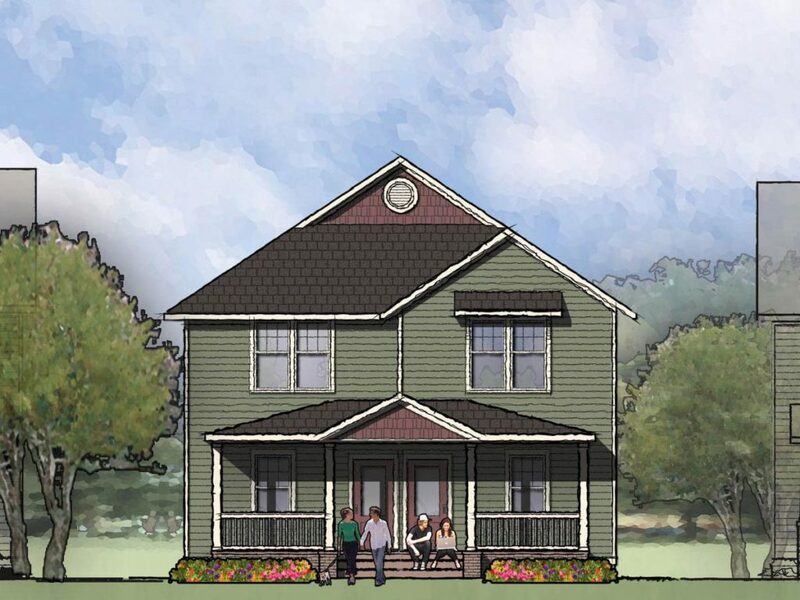 This two story Prairie style duplex offers two units of 1153 square feet. Each unit features a large open living room, spacious kitchen & dining space and laundry area. 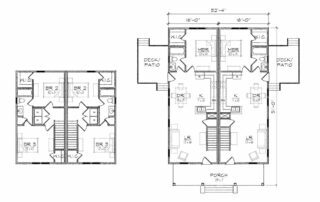 They include a total of three bedrooms, including a first floor master bedroom suite with walk-in closet, and two full bathrooms. 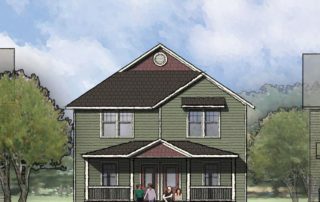 The Craftsman inspired exterior offers a full front porch covered with a hip roof with gable entry and a side deck entry. Width 32' 4" Depth 51' 0"